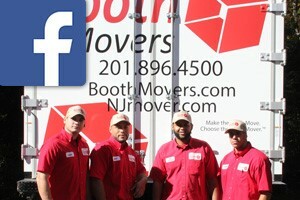 For the highest-level New Jersey hotel moving services, Booth Movers is the answer for a streamlined relocation process! Since 1945, our experienced team of New Jersey hotel movers has successfully completed thousands of commercial moves for hotels and business across the region. BBB-accredited with ProMover status, our New Jersey hotel moving company has the experience and expertise to handle hotel relocations of any size or complexity! Whether you need to transfer a single floor of items for a hotel remodeling project or you need a full-scale hotel relocation, there is no job too big or too small for our New Jersey hotel movers! As a trusted agent of Atlas Van Lines and a member of the American Moving & Storage Association as well as the New Jersey Warehousemen & Movers Association, our New Jersey hotel moving company has access to the best moving resources and equipment. Regardless of the complexity of your project, Booth Movers is committed to handling every aspect of your relocation safely, efficiently, and professionally! Commercial Moving – Our New Jersey moving company is the most trusted name in commercial moving services throughout the Bergen County area. Employee Relocation – Ensure a seamless transition for your employees by using Booth Movers’ expert employee relocation services! With quality service and exceptional customer care, there is no better choice than Booth Movers for all of your New Jersey hotel moving needs! To find out more about the services we offer, give us a call or fill out our online form for a free, no-obligation estimate today!